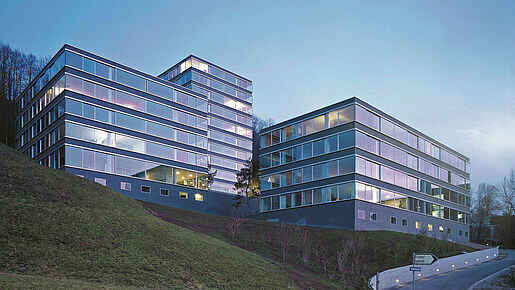 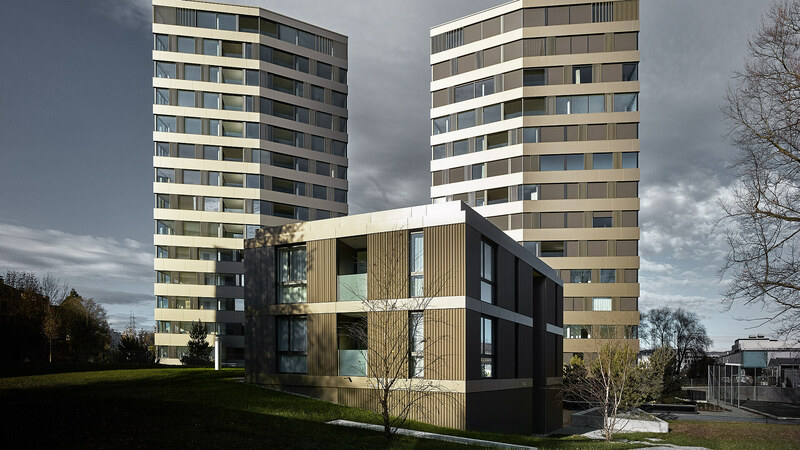 The façades of the two one-one towers in Cham reflect the different light conditions like crystals. 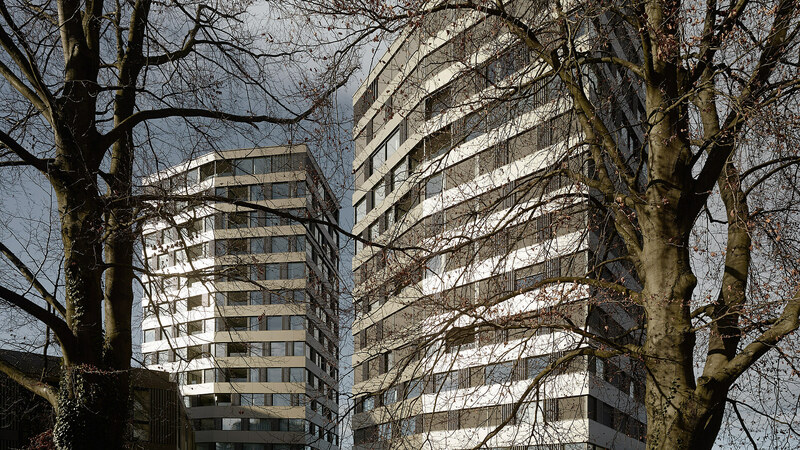 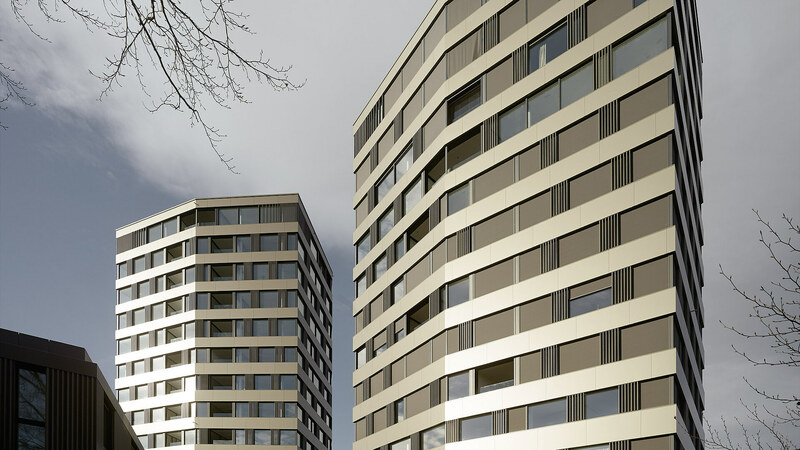 Two Tours, height 46/49 metres, storeys 13/14, total façade surface area 6200 m2, glass/Alucobond, 58 air-lux sliding casement windows. 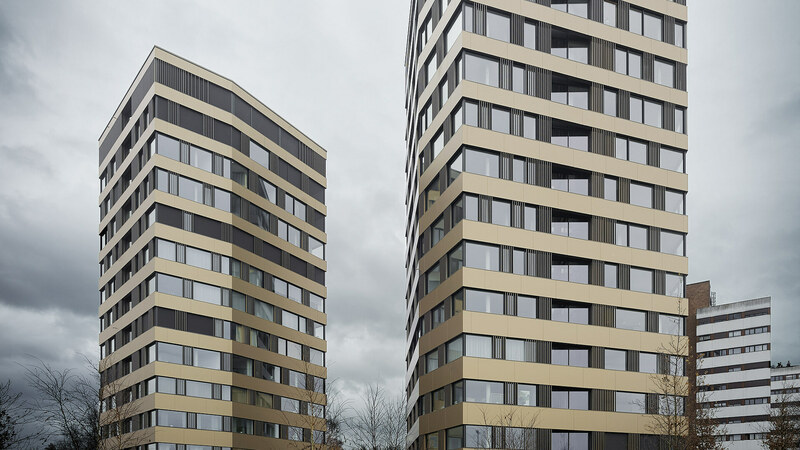 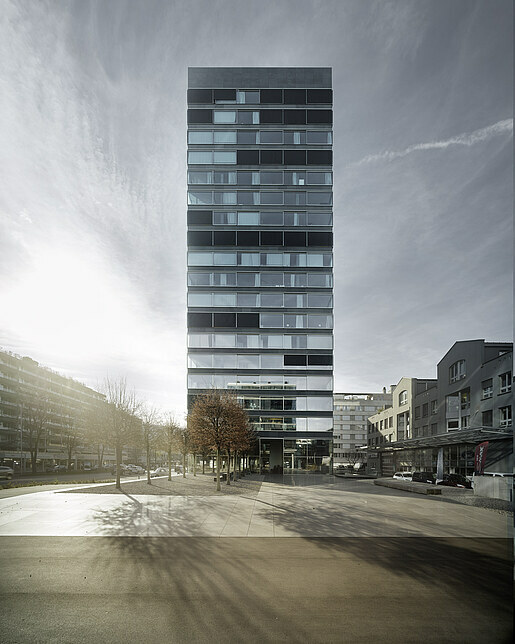 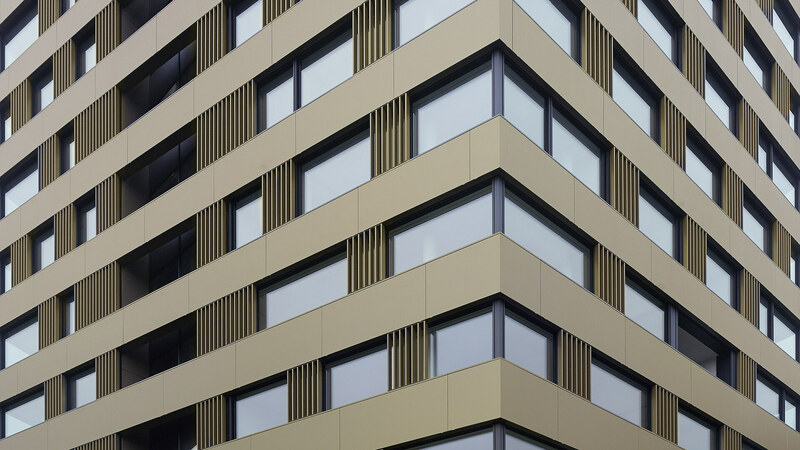 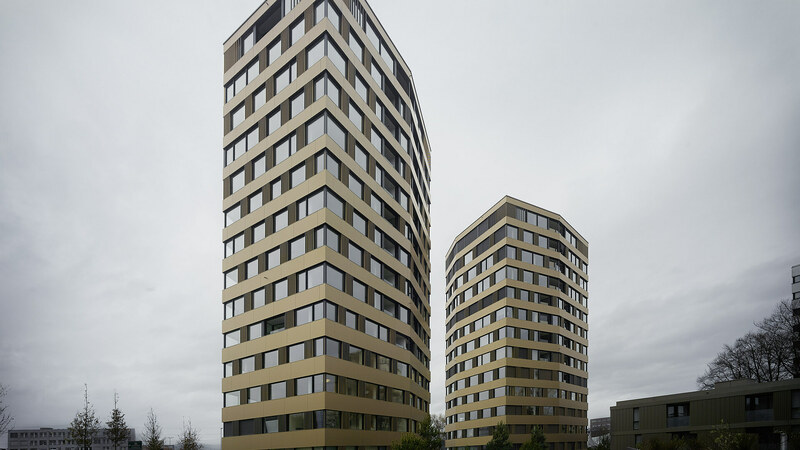 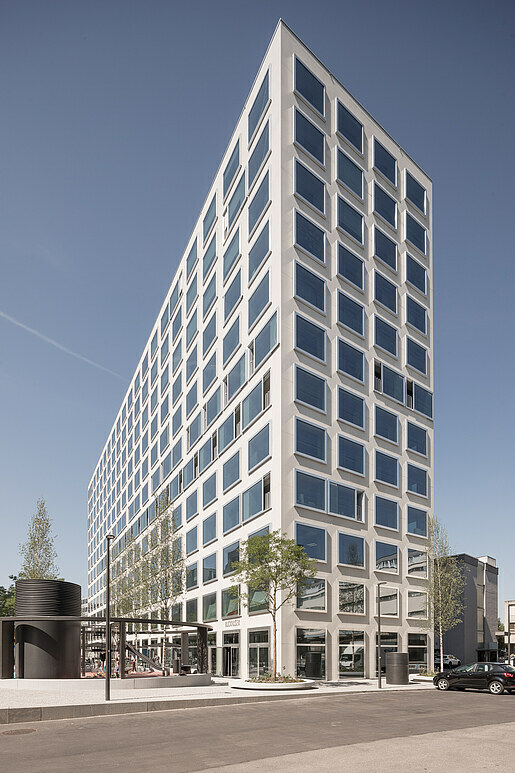 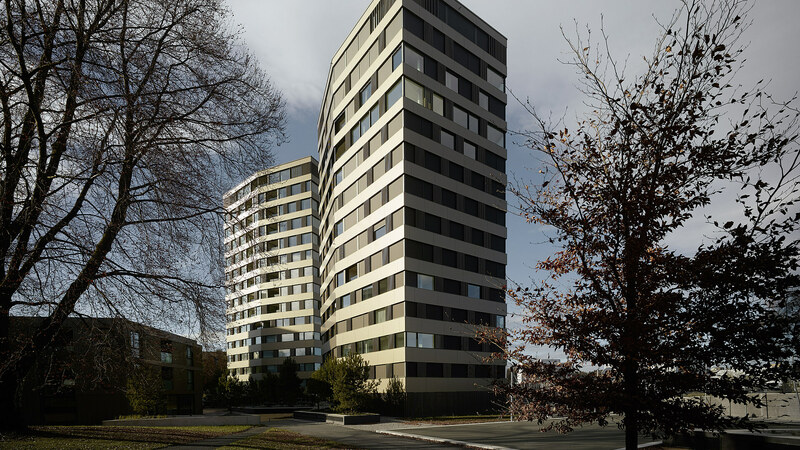 The complete façade shell was carried out by Krapf AG. 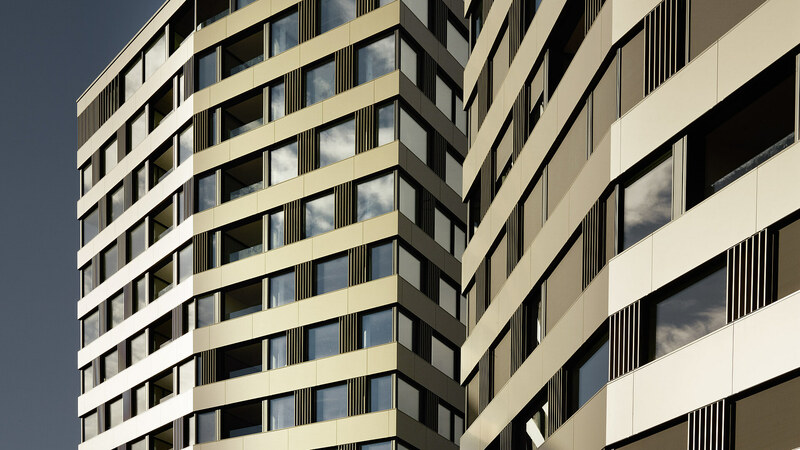 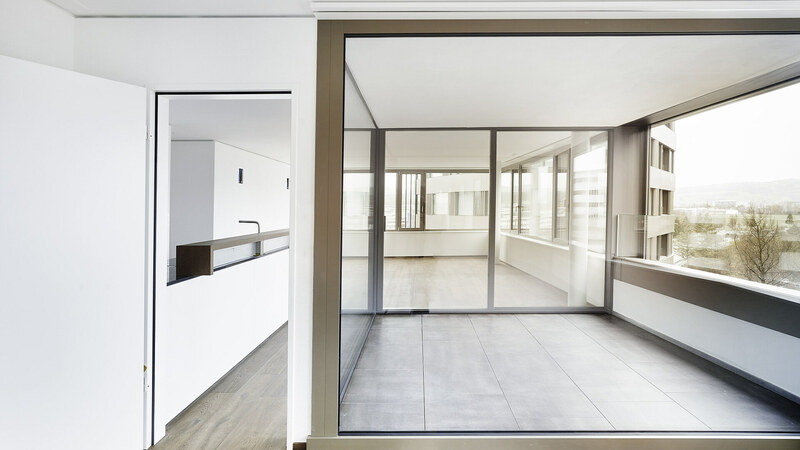 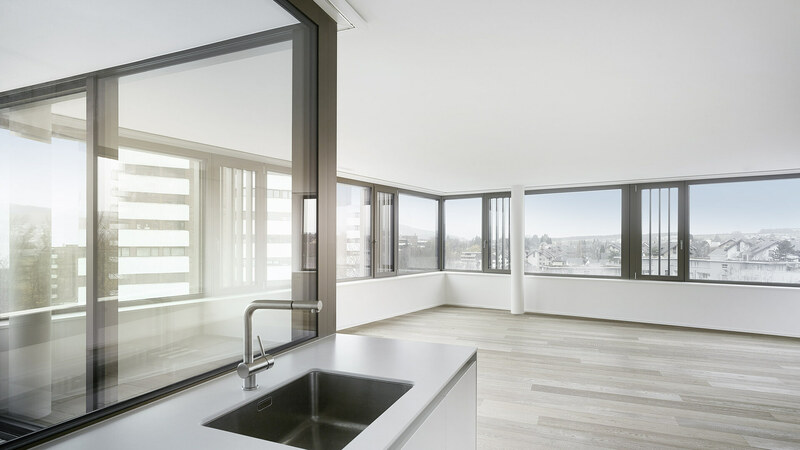 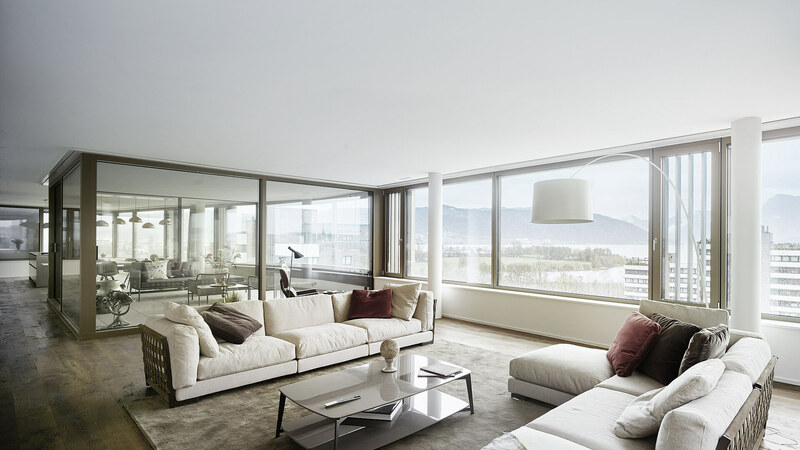 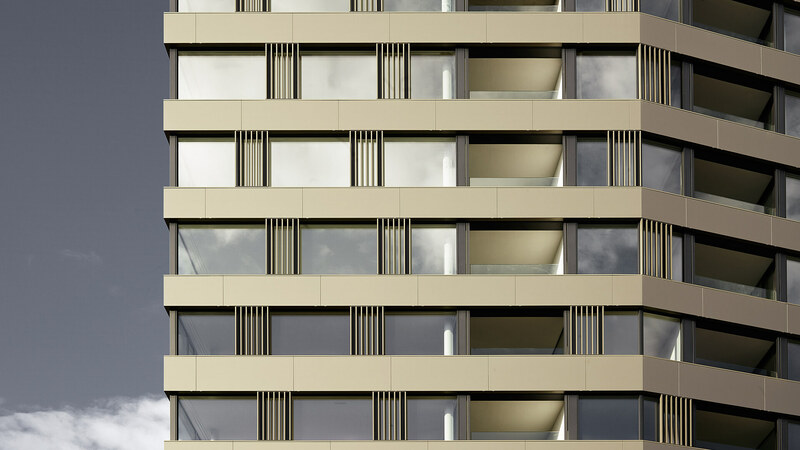 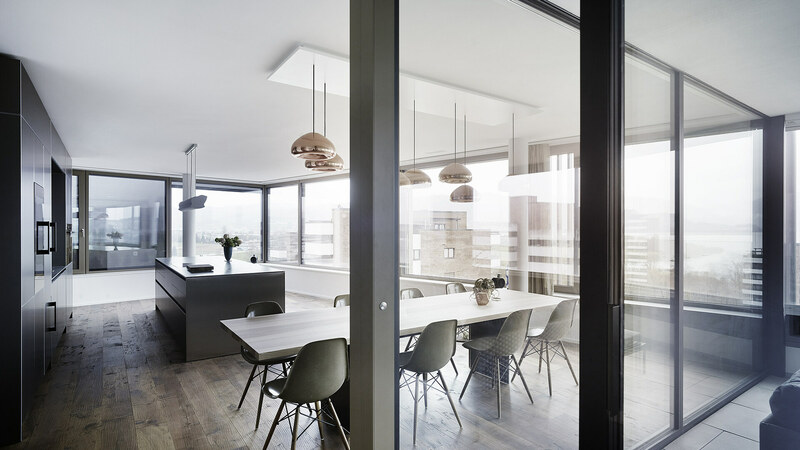 air-lux can be combined with system profiles and, thanks to its 100% impermeability, is perfect for high-rise construction. 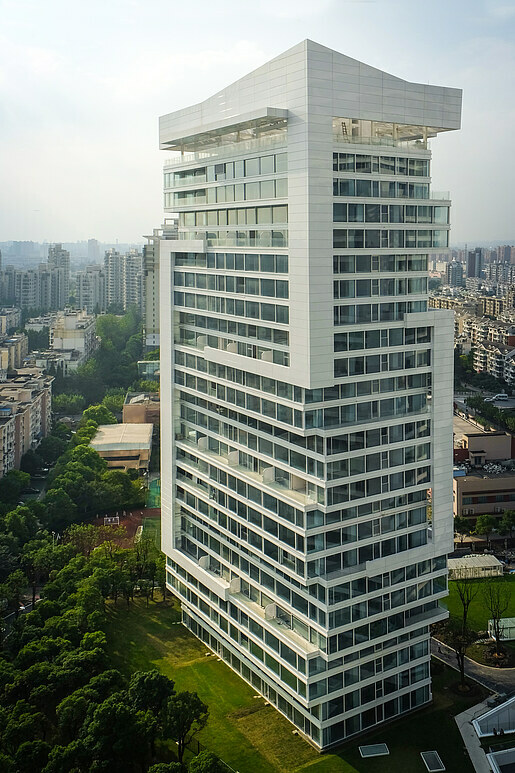 The patented inflatable seal and the structural stability under heavy wind pressure guarantee maximum impermeability against driving rain.